We get it; it’s freezing outside. Indiana winters are no joke! Do you want a way to make your life a little easier right now? Install a remote starter in your car! Waxwerks & Audio+ is your ticket to finally adding this great feature to your vehicle. Questions? Contact us online or call (317) 577-9700 to talk to our experienced team. We recommend these three options for consideration. Viper is the world’s best-selling remote starter brand, providing range and features you can count on every time. Using cutting-edge technology, their sole goal is to make sure you’re in control. It also has a great smartphone app. Designed to eliminate the need for the key ring, the Viper SmartStart app from Directed Electronics has become a popular choice in vehicle security. Lock, unlock, or remotely start your vehicle simply by pushing a button on your iPhone, iPad, iPad Touch, or Droid – it’s that easy. SmartStart also enables you to open the trunk, operate the panic and car finder features, and control multiple vehicles. You can even assign more than one user to control a vehicle. Voted No. 1 by mobile electronics specialists, Compustar products safely integrate with your vehicle, and use the best processors for optimal speed, efficiency, and performance. iDatalink’s remote start solution is compatible with more than 4,000 vehicles, including late BMW and Mercedes models. 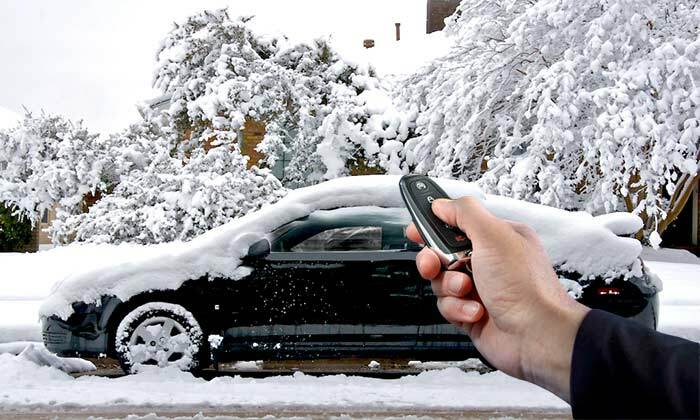 Our remote car starter installation team is one of the most experienced in the Indianapolis area. Experience the convenience and safety that remote starters can offer! Begin today by calling Waxwerks & Audio+ at (317) 577-9700 or contact us online.